Our soft full laced, fitted halter neck gown. 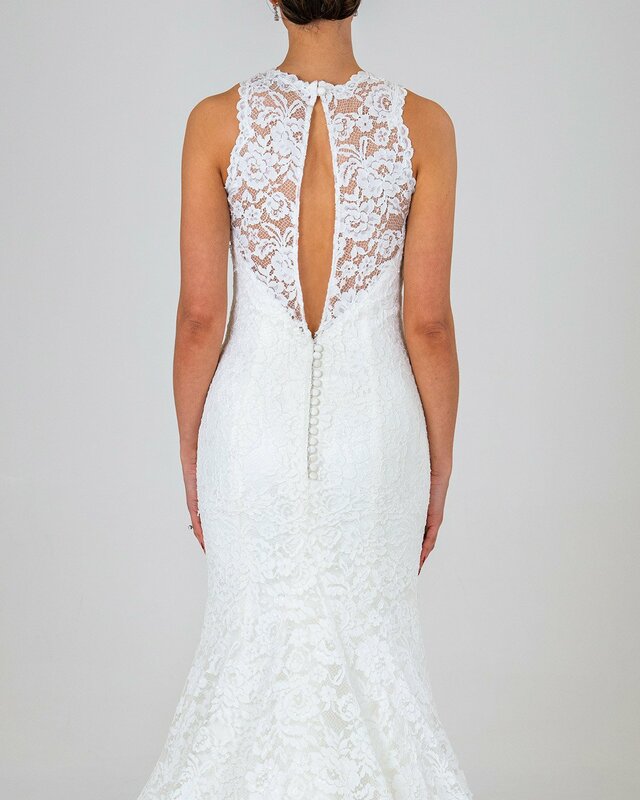 With a beautiful keyhole back and scalloped edge train. 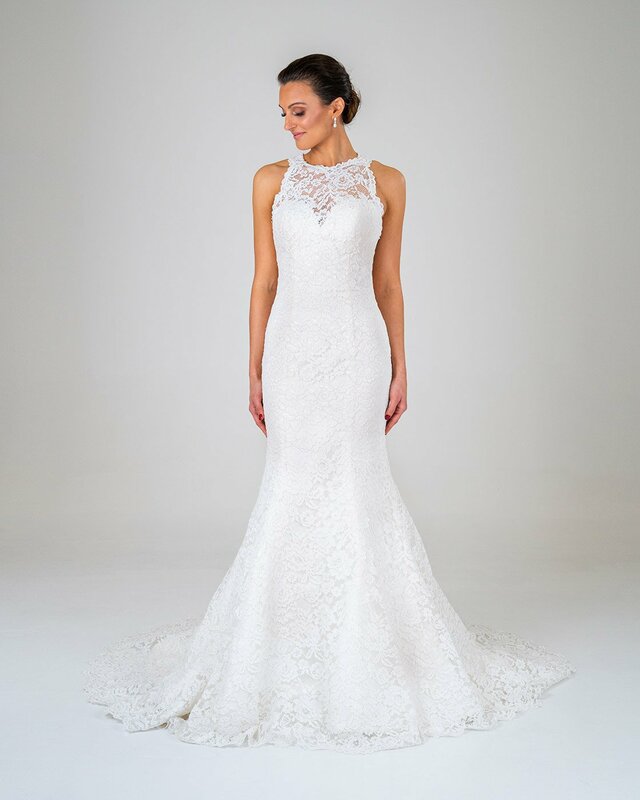 As with all our gowns any design changed can be made such as: princess skirt, V neckline and straps, capped sleeves, long sleeve, spaghetti straps, closed or more open back, smaller/longer train, beading, interchangeable lace and more.